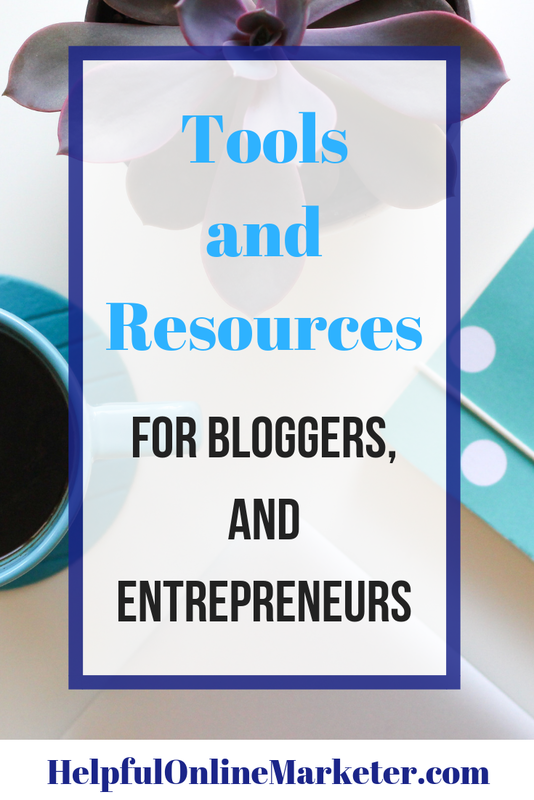 This is a list of tools and resources I personally recommend for bloggers and entrepreneurs. I don't recommend anything I personally do not use myself. *This page contains affiliate links, meaning that if you make a purchase from a link on this page or chose to sign up for a program, I may receive a commission at no extra cost to you. All opinions are 100% my own. Thank you for supporting my blog! Some of the tools mentioned have limited features on their free plans and offer more on their paid plans. Affilorama: I used Affilorama myself to learn everything I could about affiliate marketing. Affilorama has tons of free affiliate marketing lessons, free videos, and free resources for beginners. You don't need a credit card to get their free membership. You can keep your free membership as long as you want. They will teach you how to pick a profitable niche, and more. ShareASale: Affiliate networks are a great way to monetize your blog and website. I use ShareASale to link to products and services I use and love. I was able to get approved for ShareASale even though my blog is small. Once approved you can apply to affiliate programs from different retailers like Wayfair, Julep, Stella, and Dot, and more. But you have to make at least $50 in affiliate sales in order to get your earnings. It's free to sign up. Grammarly: I wouldn't have gotten through college without Grammarly! It is seriously the best FREE grammar tool available. It goes beyond basic spell checking too. If your sentence structure is off, punctuation, etc. Grammarly will highlight it, and show you how to correct it. Now that I am out of college I use it for all my blog posts. Coschedule: Coschedule has a FREE headline analyzer that you can use to test your blog and article headlines. I use this tool all the time to test my blog headlines. You type in your headline and it will give you a score. The higher the score the better your headline will be. It will tell you if you are using any emotional words or power words. Tailwind: I absolutely love Tailwind! I use it to schedule all my pins on Pinterest. With Tailwind you can make sure that you always have something being pinned to your account. It picks the best times for you to pin. You don't have to pay anything when you first sign up. You can schedule up to 100 pins for free with their free trial! Tailwind for Instagram: Tailwind isn't just for Pinterest. Tailwind is a partner with Instagram. That means you can actually schedule your IG posts not just get a reminder. Tailwind will even recommend the best hashtags for you to use with each post. You can also try Tailwind's Instagram scheduler for free too! Buffer: I absolutely love Buffer. You can add up to 3 social media accounts on their free plan. Plus you can schedule as many posts as you want. I use Buffer mainly for Twitter but you can use it for Facebook, Instagram or Pinterest. Buffer even suggests the best times for you to post. They have an app as well. But Buffer doesn't automatically post to Instagram. It just sends you a reminder telling you to post. Buffer is free for up to 3 profiles. If you want to add more than 3 then you have to upgrade to the paid plan. Planoly: Just like Tailwind Planoly is an official Instagram partner. Which means your account will not be banned for using their app to post to IG. With their free plan, you can upload up to 30 photos per month. You can keep the free plan forever. But you can't upload videos or GIFS on the free plan. What I love about Planoly is that you can see your IG layout through the app. Which makes having a themed IG account a lot easier. Lady Boss Studio: Lady Boss Studio is one of my favorite blogs. 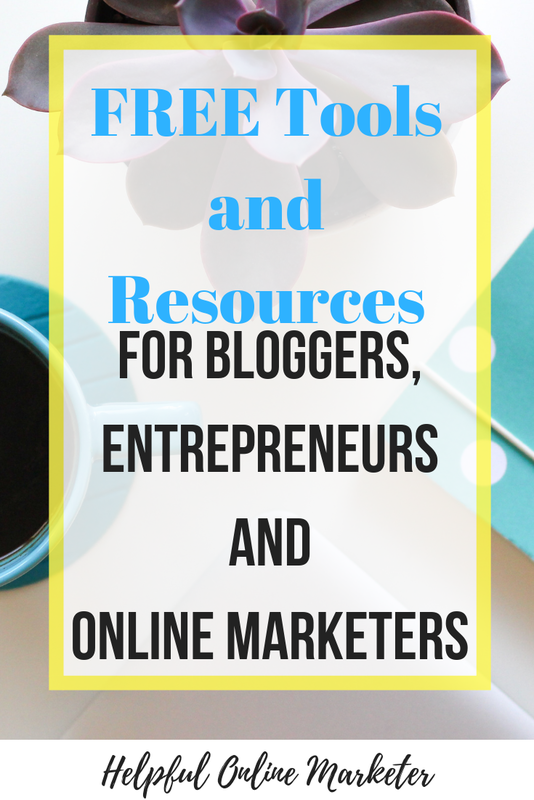 The freebie library contains blogging for beginners ebook, Canva blog post-opt-in freebie template, a Canva blush media kit, fully editable Canva mood board, opt-in freebie workbook, Pinterest checklist, Weekly interactive planner, and a Pinterest group board mega list. Simplifying DIY Design: If you want to create your own printables this blog is a great resource. If you sign up for the email list you will get access to an awesome library of free heading templates, free social media templates, editable worksheet, opt-in templates, and more. It's all FREE. CartStack: CartStack is an awesome tool that helps you recover abandoned carts on your eCommerce website. They even offer a 30-day free trial plus they have a great FREE eBook filled with inside tips on capturing more emails on your eCommerce website. Weebly: If you want to start your own online store or website for your business I definitely recommend Weebly. With Weebly, you do not need to know any code in order to create an amazing website. It has a drag and drop editor that lets you drag and drop the features you want anywhere on your site. Unlike WordPress, there are no plugins to install. With Weebly's eCommerce features built in you don't have to install additional software to get a shopping cart or track inventory. You can even sell digital products and services too! If you already have a store on Etsy or Shopify you can import your CSV file into Weebly. Making it easy to switch! Weebly has a free plan if you want to start a website or blog. But no free plan if you want to open up a store. Teachable: Many bloggers use teachable to create their own courses. Teachable handles everything. They handle the sales page, hosting, collecting payments, and your affiliate program. 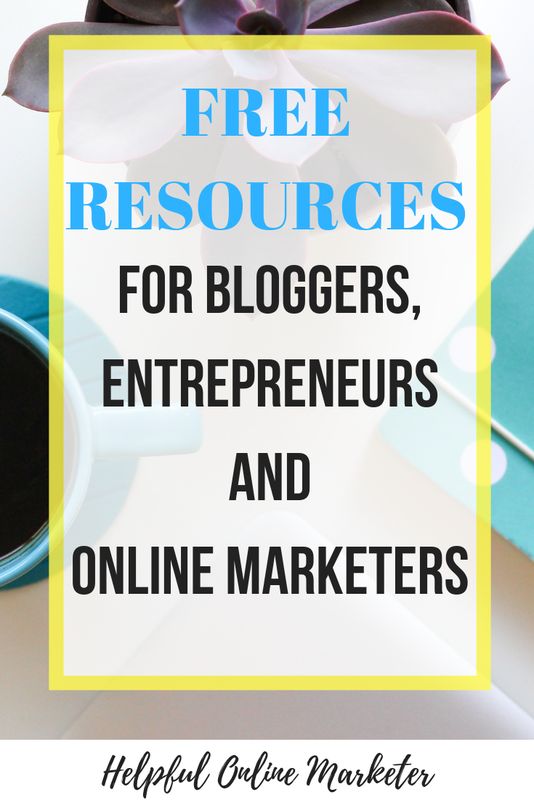 They do have free resources that teach you what you need to know in order to create and price your own course. You just have to sign up for their email list to get them. Teachable does offer a free plan too. The basic plan is $39. Lady Boss Studio: Lady Boss Studio has tons of done for you Instagram templates, Blog Branding Kits, Pinterest templates and more. Some templates and kits can be edited in Canva. Other templates can be edited in InDesign. The prices vary from $12-$75. It just depends on what you are looking for. The Instagram Blush Template Kit is $15. It is fully editable in Canva and Photoshop. It comes with 9 Instagram Square Designs and 3 Instagram Stories Designs. All colors, fonts, and pictures are fully editable! Get cash back on all of your purchases with Ebates. I use it all the time when I shop online. If you install the Google Chrome extension Ebates automatically tells you how much cash back you can get. The best part is Ebates is FREE to use! When you first sign up Ebates gives you a sign-up bonus!